BRIGHTON, Mich. – The second Sunday in May is reserved for the women who have brought us into the world: our mothers. The history of Mother's Day is a lot different than what most people believe. Long thought to be a classic "Hallmark Holiday", "Mother's Day" in a sense, has been celebrated since ancient Roman and Greek societies were at their highest. Celebrations of mothers and motherhood initially started with the ancient Greeks and Romans, who held grand festivals in honor of the mother goddesses Rhea and Cybele, however the clearest modern precedent for Mother's Day is the early Christian festival known as "Mothering Sunday", which took place during the 1600's. We can actually trace the roots of the modern Mother's Day celebration to many localized celebrations throughout the United States during the 19th century. This includes Albion, Michigan where Juliet Calhoun Blakely, a temperance activist inspired a local Mother's Day celebration in the city of Albion itself in the 1870's. Anna Jarvis is considered to have founded the "official" Mother's Day in 1905, following her mother's death. Jarvis started a massive, nationwide campaign that focused on urging the national government to make Mother's Day an official holiday, all to honor her mother. Her intense persistence paid off and in 1914, President Woodrow Wilson sighed an office measure establishing the second Sunday in May as Mother's Day. Today, many countries throughout the world celebrate different versions of Mother's Day, including Thailand and even Ethiopia. Here in the United States, Mother's Day continues to be celebrated by presenting mothers and other influential women with gifts and flowers, and has quickly become one of the biggest holidays for consumer spending. 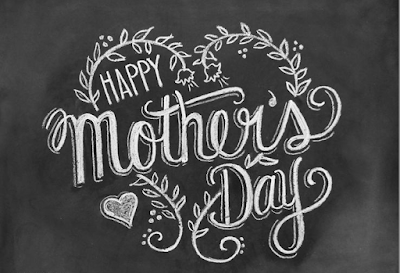 In the United States alone, approximately $14 billion dollars is spent on Mother's Day. Isn't the history of Mother's Day so interesting? We thought so! Do you have any Mother's Day traditions that your celebrate with your family? Share them with us! We care about our customers at Brighton Ford, and are always thinking of way to make sure they have a safe, and enjoyable driving experience wherever they travel! We are located at 8240 Grand River Ave. just north of I-96 in Brighton. We are a family owned and operated business that strives for customer satisfaction. For more information on Brighton Ford visit BrightonFord.com or give us a call at (800) 836-7417.